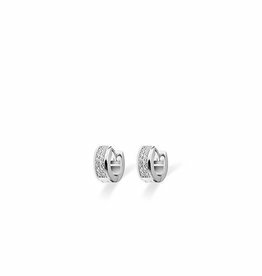 Beautiful Sterling silver creole earrings set with zirconia's on the front side. 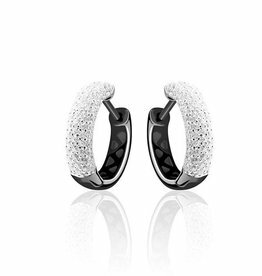 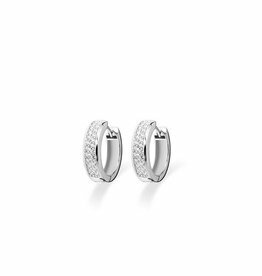 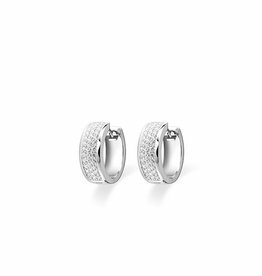 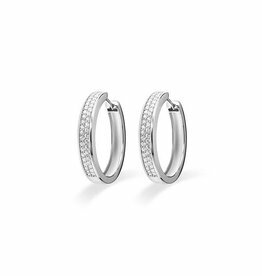 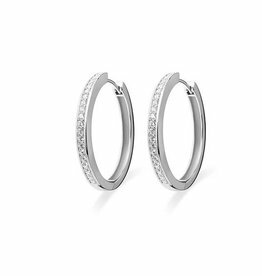 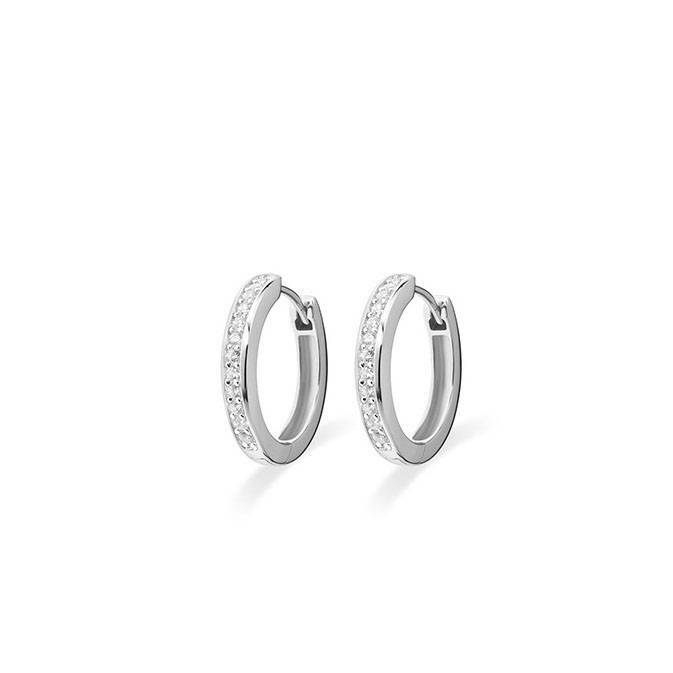 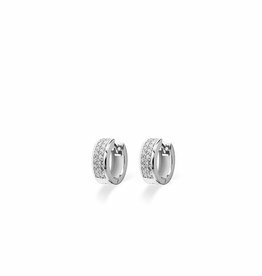 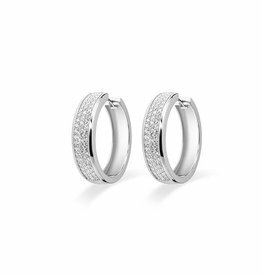 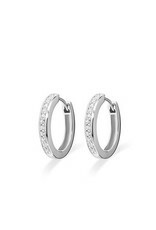 To improve both shine and durability the earrings have been rhodium coated. 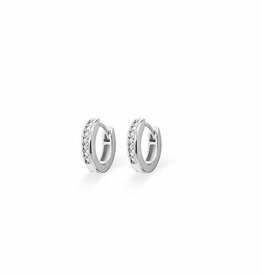 These earrings are 3mm wide and have a 20mm diameter.